Our main clubhouse area has numerous facilities for your use. It is also the hub for many of the club activities: Monthly Club dinner, Hunter Education Courses, Beagle Club events, Archery events, Rifle and Pistol events. 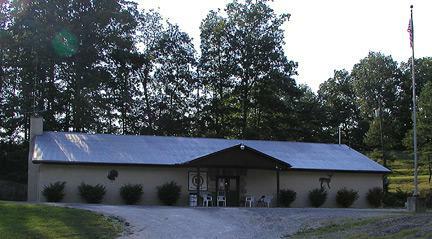 The Northeastern Kentucky Fish and Game Association acquired its present location in 1987. Through donation of materials and labor, the clubhouse and some designated firing ranges were completed at that time. The club was founded with roots in conservation and youth activities. And continue today with activities and education focused on our youth. We continue to expand with the needs of our membership.